"The will of the people shall be the basis of the authority of government..."
Article 21(3), Universal Declaration of Human Rights. "A World Citizen is a human being who lives intellectually, morally and physically in the present. A World Citizen accepts the dynamic fact that the planetary human community is interdependent and whole, that humankind is essentially one. 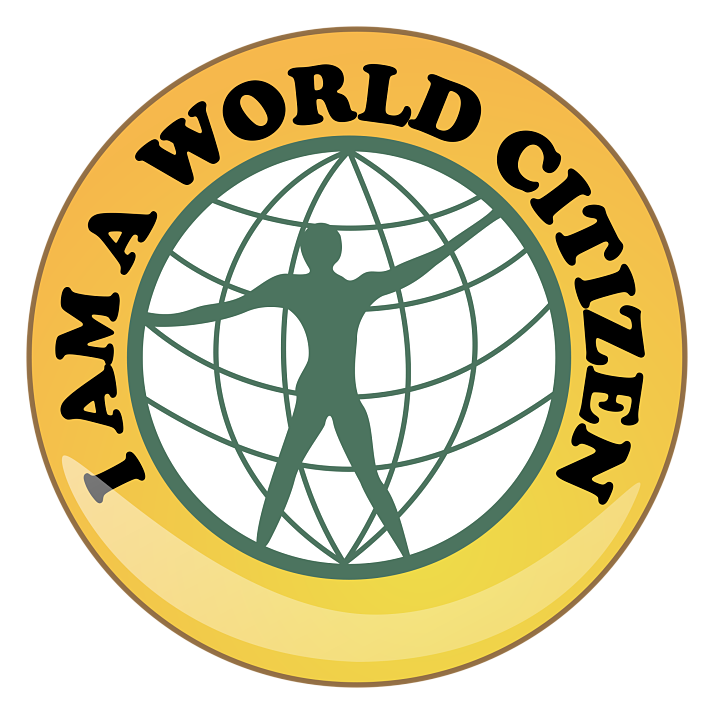 A World Citizen is a peaceful and peacemaking individual, both in daily life and contacts with others. As a global person, a World Citizen relates directly to humankind and to all fellow humans spontaneously, generously and openly. Mutual trust is basic to his/her lifestyle. Politically, a World Citizen accepts a sanctioning institution of representative government, expressing the general and individual sovereign will in order to establish and maintain a system of just and equitable world law with appropriate legislative, judiciary and enforcement bodies. A World Citizen makes this world a better place to live in harmoniously by studying and respecting the viewpoints of fellow citizens from anywhere in the world." Thank you for being with us. The World Government of World Citizens (WGWC) is founded on three principles or World Laws: One Spirit; One World; One Humankind. Other related time-honored maxims are “Unity in Diversity”, “E pluribus unum”, “Do unto others as you would have done unto you” and like expressions of all faiths as well as political philosophy. The core meaning, however, expresses the fundamental unity of each and every human as an inalienable member of humankind itself living on home planet Earth. The government's modus operandi is grounded in the new science of geo-dialectics: the dynamic relationship between the one and the many. As fellow human beings, you and I individually are the “one”; humanity is the “many”. Despite relative differences, therefore, we are intrinsically bonded. From this basic realization derives such notions such as sovereignty, human rights and social justice as well as wellbeing and peace. Thus “the geo-dialectical method consists of clearly recognizing the two counterparts which belong together in any given situation or problem to be eased or resolved in human affairs...” (From the Memorandum on World Government by Nataraja Guru). This unitive bi-polar relationship underlines all the information contained in this site. All applications for World Government documents must be printed out, filled in, signed, notarized, and mailed to the World Service Authority at 5 Thomas Circle, NW, Washington, DC 20005 with the appropriate issuing fees. The history of the WGWC can be found in the FAQ section. Coordinators of World Commissions can be found in the Commissions section. Please contact us via the Communications section. Tamil poet Kaniyan Poongundran wrote in Purananuru, "To us all towns are one, all men our kin." In later years, political philosopher Thomas Paine would declare, "my country is the world, and my religion is to do good." Albert Einstein described himself as a world citizen and supported the idea throughout his life, famously saying "Nationalism is an infantile disease. It is the measles of mankind."